Trainers engaged to train the Brown STEP beneficiaries of the 2017/2018 job creation programme cycle have been charged to adhere strictly to the Code of Conduct guiding the operations of the scheme. 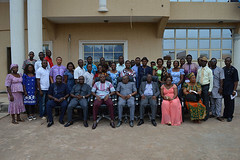 The Chief Job Creation Officer, Prof Eric Eboh, gave the charge at a meeting between job creation office and the Skills Training and Entrepreneurship Programme (STEP) trainers held in his office yesterday. The trainers who were engaged to train beneficiaries of Brown STEP are masters in vocational skills as Hairdressing & Makeover; Electrical Installation & Repairs, Catering & Confectionary; Fashion Design & Tailoring; Welding & Fabrication; Cosmetology among others. 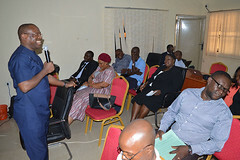 Addressing the trainers, Prof Eboh enjoined them to ensure discipline, integrity and quality so as to sustain the high standard of the programme, warning that any trainer who violates the Code of Conduct guiding the operations of the programme would be delisted. 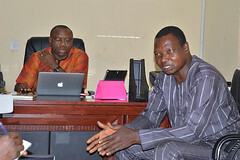 He pointed out that the Directorate of Youth Monitoring and Mentoring charged with monitoring job creation programmes in the state would regularly visit the training centres to monitor the progress of the trainees and would afterwards provide them with mentorship after establishment. Congratulating them on their inclusion on the list of job creation trainers, he explained that Brown STEP comprised candidates who learnt skills through personal sponsorship, but require assistance to be established in their various areas of vocational skills. He particularly commended three STEPreneurs who benefitted from the programme in the 2015 Cycle, stressing that their ability to distinguish themselves in their enterprises qualified them to be engaged by the job creation office to train new beneficiaries. “Your engagement as trainers is a clear manifestation of the vision of the Governor, Senator Ifeanyi Okowa, of nurturing a new generation of entrepreneurs who would grow to train and employ others,” he emphasized. He said beneficiaries of Brown STEP posted to various training centres for a month refresher course would resume training today, Ist February and are to stop training on the 3rd of March, 2018 after which they will be established with starter packs to run their own enterprises. 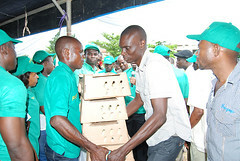 He added that the 208 Brown STEP trainees had successfully undergone a week programme in Orientation and Personal Effectiveness Training (OPET) and Entrepreneurship and Business Management Training (EBMT) at Songhai Delta, Amukpe to provide them with life skills and business management tips that could adequately prepare them to become seasoned entrepreneurs and business managers. 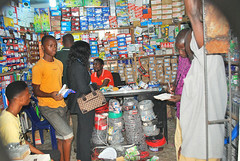 He disclosed that 500 Green STEP beneficiaries who are fresh entrants who want to learn skills and be established through the Skills Training and Entrepreneurship Programme (STEP) will commence the OPET and EMBT along with beneficiaries of the Youth Agricultural Entrepreneurs Programme (YAGEP) mid-February and would resume training at the various training centres on the 1st of March, 2018. 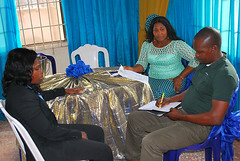 In separate remarks, trainers who were beneficiaries of the 2015 Cycle, Precious Nwaise (Fashion Design & Tailoring) and Karen Arubayi (Catering & Confectionery) expressed their gratitude to the state government for upgrading them from being trainees to trainers with a pledge to put in their best so that their trainees would grow to perform better.